3rd Place Runner-up in GGP's 2013 'Flashy Shorts' Competition with his short story entry A Girl I Once Met. 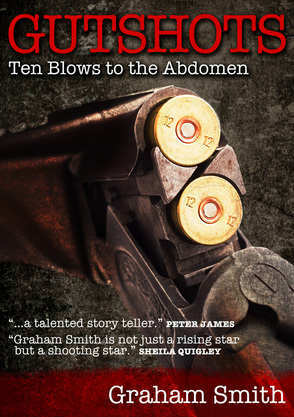 Gutshots: Ten Blows to the Abdomen is a collection of hardboiled short stories of revenge, retribution and renegades. Humourous, shocking and touching by turn, the ten short stories will leave you begging for more. And there is more! Five stories previously shown online or in other publications have been included as bonus material. Each tale comes with a short introduction detailing the story behind the story. I love the buzz of throwing the first draft down when the story is escaping my brain via my fingers. I find it very liberating to just let fly without caring about typos, spelling or getting the exact word or phrase right. Seeing the story take shape before my eyes is great fun and after a while my fingers take over and write far better than my brain ever can. Strangely when I am in full flow I seem to be a much quicker typist and make far less typos than I do when fine tuning and really crafting a piece. Tidying up after the first draft and doing the necessary editing. After the high of seeing the story evolve and the freedom of writing a first draft to change to being critical and exacting is a culture shock. What I have learned to do is leave the draft sitting for a few weeks and then not only is it less fresh to my mind and my eye but it is also easier to see what changes are needed. I think my strengths are that I can grip the reader, write fast paced stories and also that I write excellent twists. (These are all comments I have had in reviews) Another strength I have is that as I’m new to writing I have not yet tried something which has phased me or frightened me. I’ll write crime and hard boiled noir from all angles and perspectives. 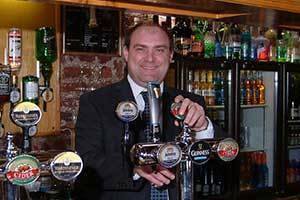 I have written closed room murder mystery, chase stories, crime and suspense thrillers. And that’s just one collection of short stories. My weaknesses are that I can get tangled up with dialogue and tenses. I’m also easily distracted from writing by the promotion of my e-books on social media sites. Nothing more complex or simple than a desire to tell entertaining stories. Every author I’ve ever read has influenced me one way or another. Some authors have shown me exactly what to do and others have shown me mistakes which can be made. I have learned something from every book I’ve read and now I’m writing myself I seem to have an instinctive knowledge for what works and what doesn’t. Alex Connor’s Legacy of Blood. HMS Ulysses by Alistair Maclean – Character, pace and plot all come together perfectly. Lord of the Rings by JRR Tolkien – A classic good versus evil tale. Severed by Simon Kernick – A wonderful chase novel which was a one sitting read for me. 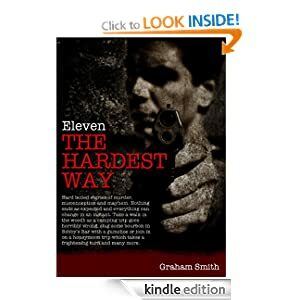 Both my reading and writing are firmly rooted in crime fiction, although I do tend towards the hard-boiled and noir end of the scale. By the time I’d moved on from children’s crime fiction to the adult version I’d read all the missing necklace stories I could stomach. I’m finished the first draft of my debut novel and then I’ll be releasing another couple of collections of short stories before going back to edit the novel. E-books are great for indie authors like myself and e-publishers should be treated with the same respect and caution as traditional publishers. Authors should do their homework before signing up with the first e-publisher to wave a contract in front of them. My only advice would be to read the genre you want to write in and then write critical reviews of the books. This will teach you to subconsciously analyse as you read and then when you come to write you will have a better understanding of what works. To get a traditional publishing deal for my novel. I am realistic though and recognise that in the current climate it is unlikely. That won’t stop me trying though.